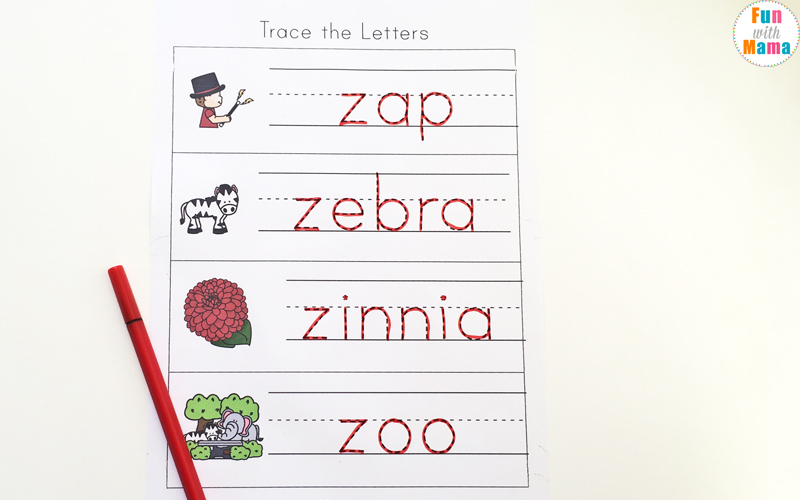 What do a zoo, zebra and zero all have in common? 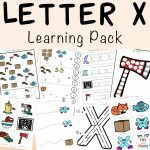 They are all part of the last printable pack in the series, our Free alphabet ABC Printable Packs. 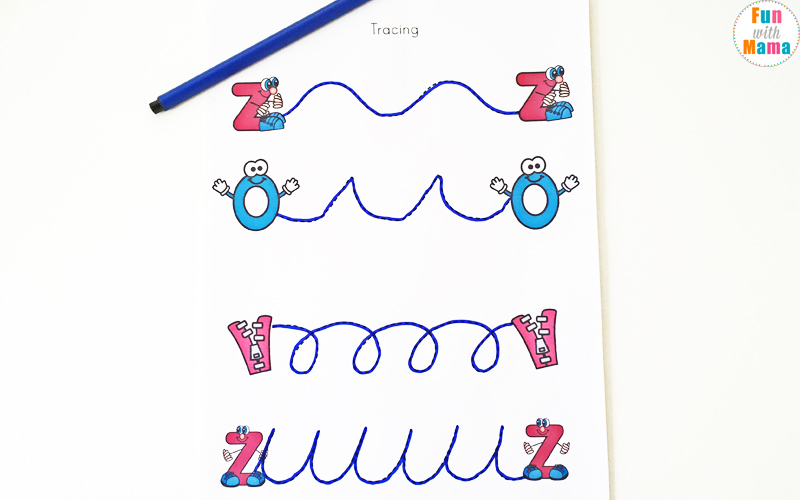 The Letter Z worksheets for preschool + kindergarten can be used in conjunction with our printable alphabet letter crafts too! 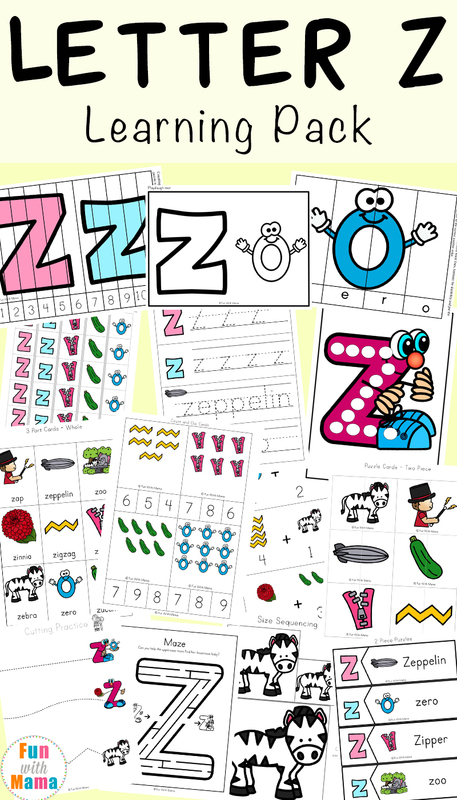 As always, this printable pack focuses on the letter Z, incorporating the words zap, zeppelin, zoo, zinnia, zigzag, zipper, zebra, zero and zucchini. 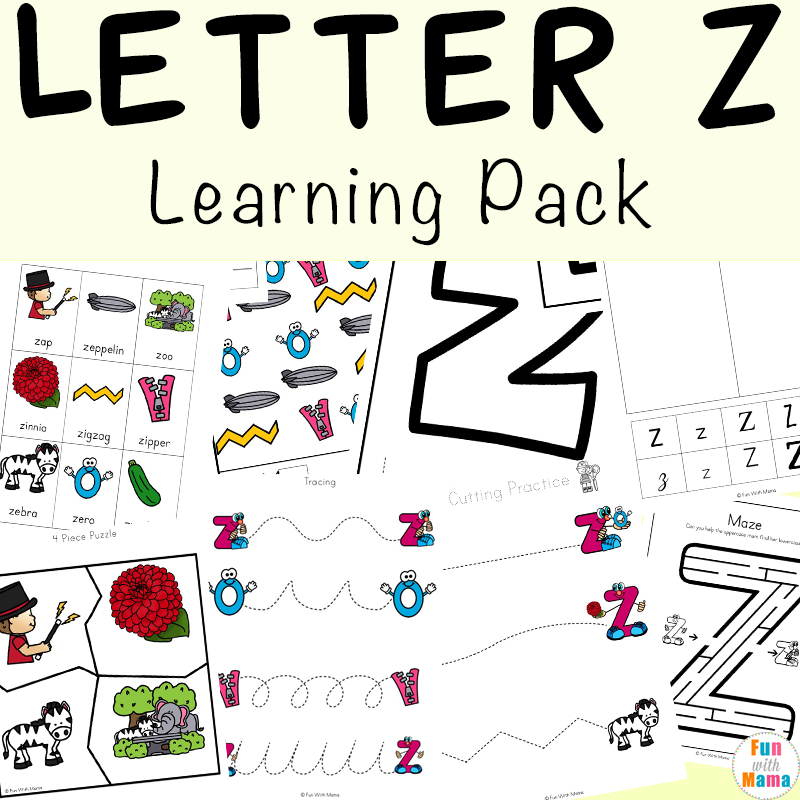 The activities in the pack include both the lowercase and the uppercase of the letter Z. 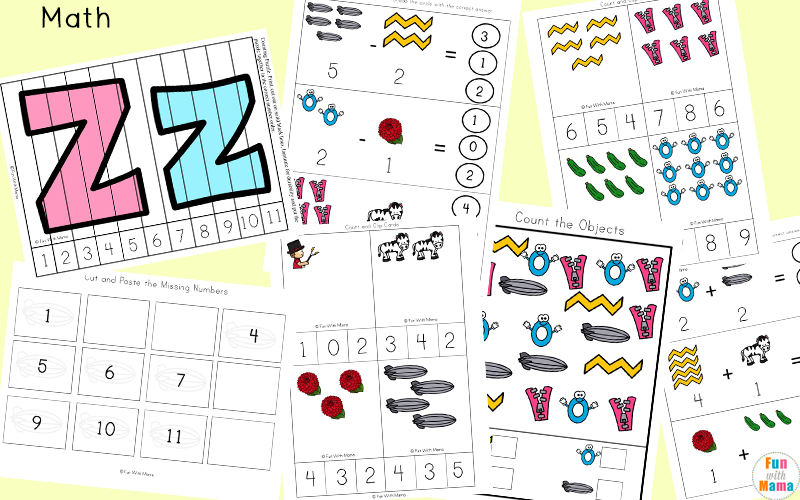 A variety of counting, simple addition and subtraction activities are included in this printable pack. 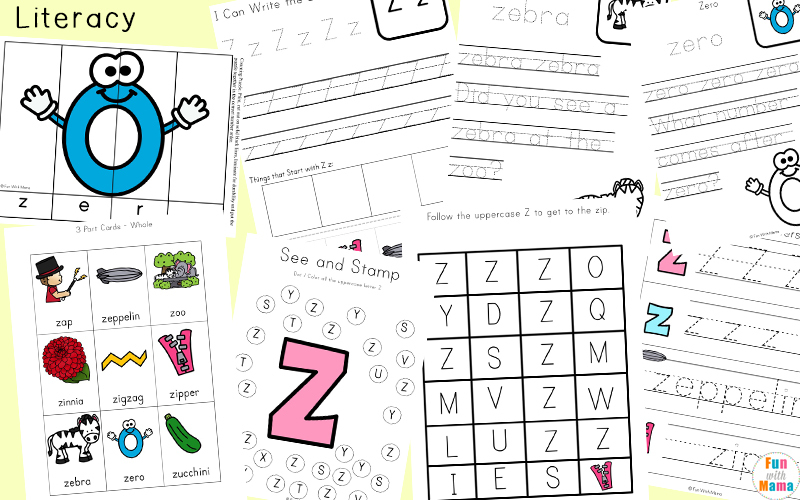 Kids will love the I Spy page, finding and counting the pictures in the box. 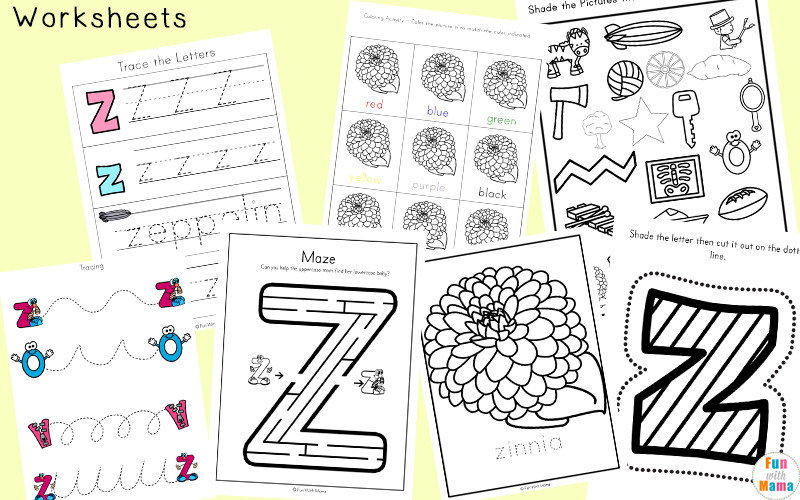 There are many art-related activities in this printable pack. 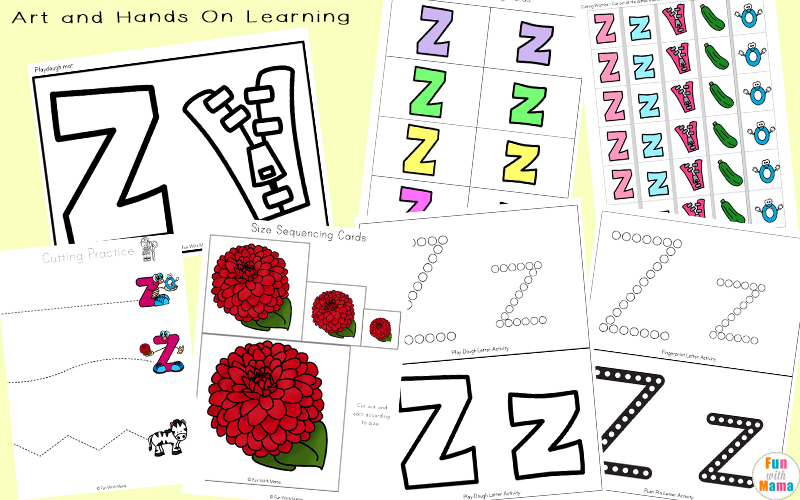 They include letter z coloring pages, letter z play dough mats, fingerprint painting, coloring and dot markers. 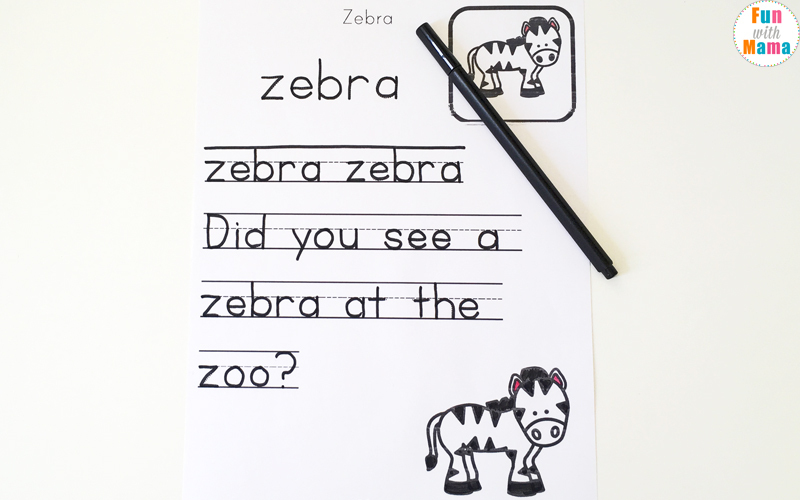 Fine motor skills are also practiced in the push pin and cutting activities. 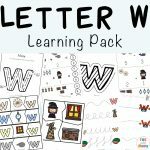 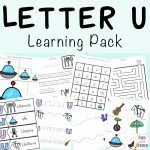 In this printable pack, children will learn to read and spell nine words that start with the letter Z. 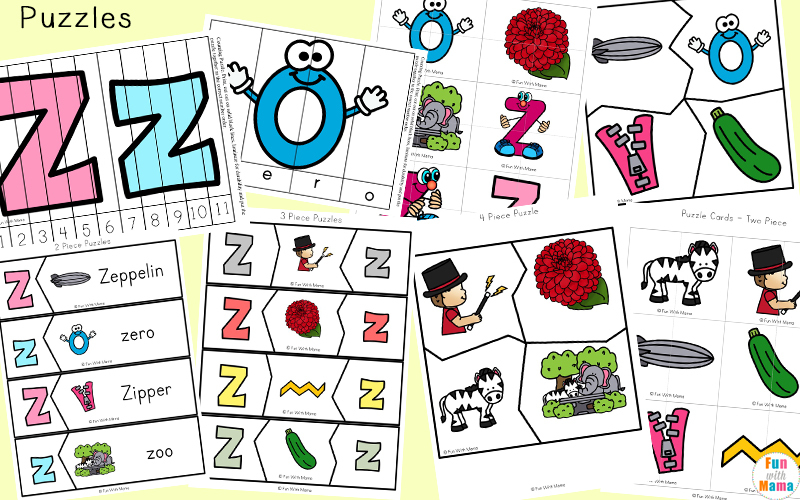 They can also get creative with the story / creative writing pages, using as many z-letter words as they can. 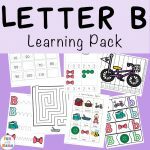 You can get the letter z worksheets pdf by pressing the button above.Get the full Alphabet Letter Pack bundle that includes all the color and black and white activity packs here. 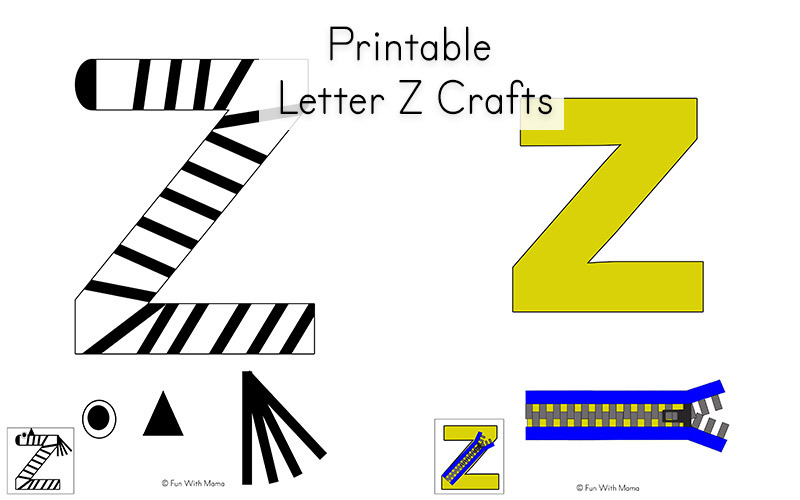 The letter z crafts, z is for zebra craft and z is for zipper craft can be found in the alphabet letter crafts bundle.